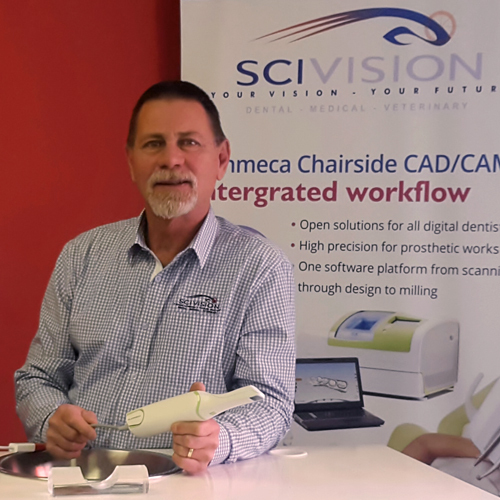 SciVision Medical is a medical supply company dedicated to sourcing the best and most innovative technologies in the health and medical industries - in particular: Dental, Veterinary and Specialist Medical (e.g. ENT, Plastic Surgeon, Gynecologist and such). Specialising in the sale and service of medical and dental equipment, we focus on education, training and back-up service to ensure best return on your investment in your particular technology. SciVision's roots are proudly South African. Our success and commitment to education lead to an opportunity to open office in the Nordic region with a second head office now in Copenhagen. With the original team starting in 1995, well trained and experienced individuals make up Team SciVision. With this in mind and along with world-class brands, SciVision Medical is set to continually add value to the medical and dental industry and be a leader in the provision of technology to the South African and now Nordic market. 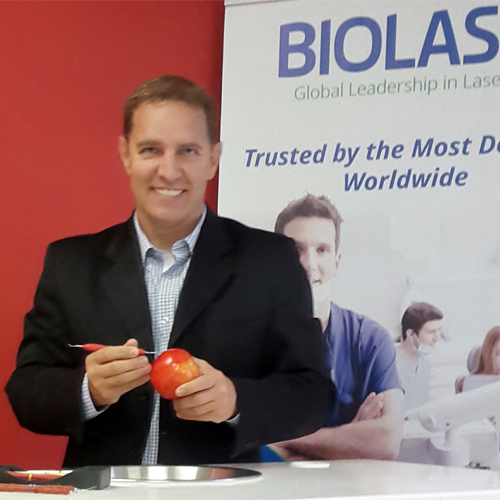 Our main focus is on Lasers, X-ray and CAD/CAMTechnology – with leading manufacturing partners in Planmeca and BIOLASE. Our other product ranges include various ‘plug-in’ items required by dental practitioners for the fully integrated surgery – such as: Microscopes and Loupes, Endodontic Equipment such as Endo Motors and Apex Locators, Seating, Sterilizing Systems, Dental Air Compressors, Vacuum Units, Curing Lights, Handpieces, Hand Instruments, and other. When necessary and if required, our company will also provide ‘turn-key’ projects where we help manage the provision of infrastructure for the establishment of an entire dental clinic – from assisting with the design, to managing essential services integration for the installation of our dental technology. Our technical and support teams have received advanced training at the international supply factories. Furthermore, SciVision Medical regularly participates in congresses with CPD accreditation received from the Dental Association. These courses are offered each year for dentists to advance their clinical skills in an exciting way. Peter started his career studying Civil Engineering. During this time he started his first business at the age of 19 and since then numerous others. All of these include the need to employ and up-skill people, while motivating them and building great teams. During the past two decades, Peter has attended numerous International Congresses and received advanced training in medical technology, as well as leadership and marketing. Peter has also served on the board of various organisations, which include social upliftment –‘Changing Lives Ministry’, he is a past Treasurer and currently serves as the President of 'The Gideons International - Sandton Cabinet'. 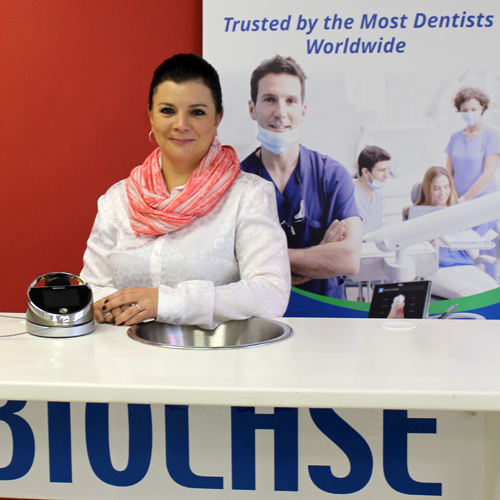 In 2015, under Peter's leadership, SciVision was awarded "Dental Trader of the Year - Practitioner's Choice" by The South African Dental Association. In the same year, SciVision was awarded "BIOLASE International distributor of the Year" in recognition and appreciation for elevating the dental experience and excellence in distribution, clinical education and customer support of the world's most preferred dental lasers. Peter is married to Dr Sonia Doubell (Medical GP) and they have three beautiful children, Joshua, Rachel and Daniel. Claudia heads up the accounts department, imports and exports, as well as the friendly customer service you may have come to know at SciVision. We look forward to acquiring technology to clone Claudia! With an IT background, Renso now has over 10 years' experience in Dental Technology including Lasers. Renso's international certified trainings include CAD/CAM, X-Ray, Magnification, Dental Treatment Centres, Sales, Support, Laser Training and Servicing in the dentistry, veterinary and medical fields. Renso is also one of the nicest guys you'll ever meet! With an engineering background, Guy heads up our Technical Department. Guy has invaluable experience in the dental industry, international certified trainings in Laser Technology, CAD/CAM, X-Ray, Magnification, and technical management of Dental Treatment Centres. We all strive to be as organised as Guy! 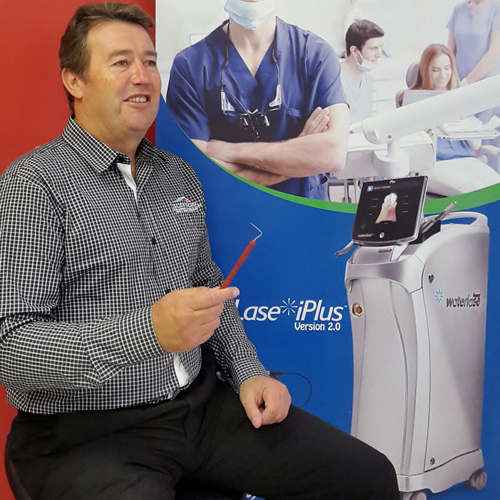 Ralph is trained and highly experienced in sales, support, training and servicing of Laser Technology, X-Ray and Magnification in the dentistry, veterinary and medical fields. It's safe to say Ralph is passionate about Lasers in Medicine! Find Ralph without a smile or a laugh, and win a prize! Dr Zaid is passionate about scientific research, has over 10 years' clinical experience with lasers in his own private practice and obtained his MSc in Laser Dentistry. Dr Zaid is excited to be a part of the advancement of laser technology in the Nordic region! A fantastic trainer who teaches clearly, precisely and passionately. A suuuuper nice guy! 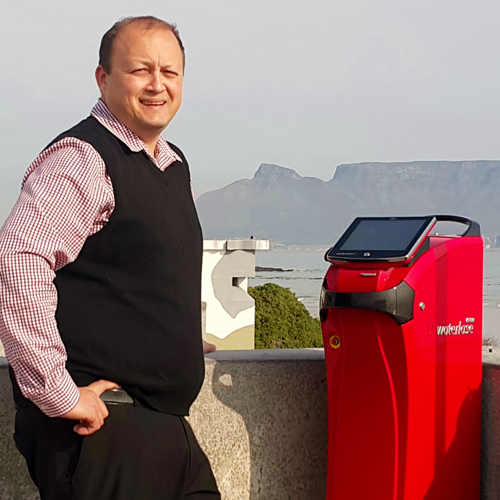 We don't think there is anything Dr Zaid can't do with his Waterlase and EPIC X Lasers! Lindi brings her international experience of working for a five-star American brand in Marketing, Communications and Entertainment to the Medical and Dental industry. "SciVision's focus on world-class education and supply of premium brands is a great standard to uphold and continue to advance." Lindi had to write that herself. #TeamSciVisionRocks!